Enjoyed coffee and scones with my dear friend Mary Beth and her sweet daughter Natalie. 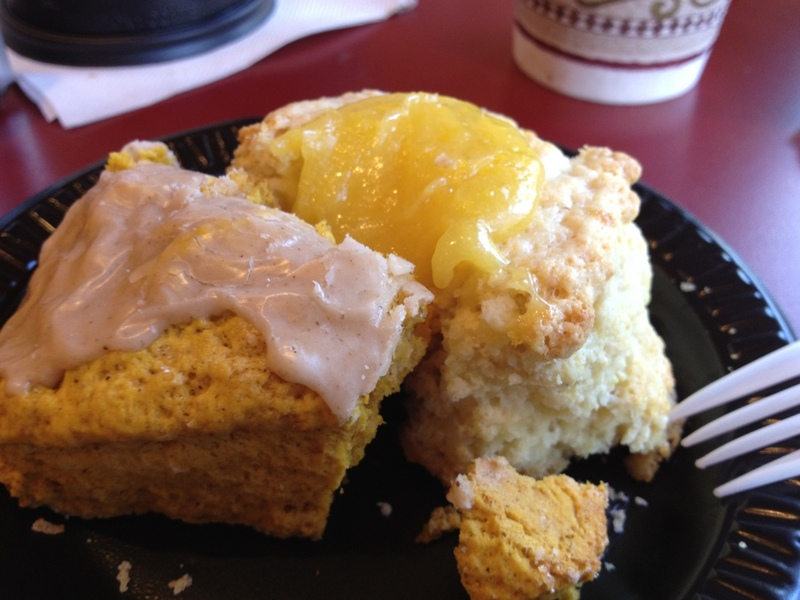 We split a glazed pumpkin (MB called it a piece of autumn heaven) and a lemon curd scone. If there was a thing called lemon shortcake, this would be it! ← When Was The Last Time You Had A BLT?